This major multidisciplinary exhibition offers a new interpretation of the Western film genre by examining its links to the visual arts (painting, sculpture, photography) from the middle of the nineteenth century to today. This exhibition studies the creation, transmission and transformation of the Western myth in North America, in both the United States and Canada. Over 400 paintings, sculptures, installations, photographs, artefacts, film stills and excerpts show how the genre has evolved through ongoing dialogue between the fine arts and cinema. 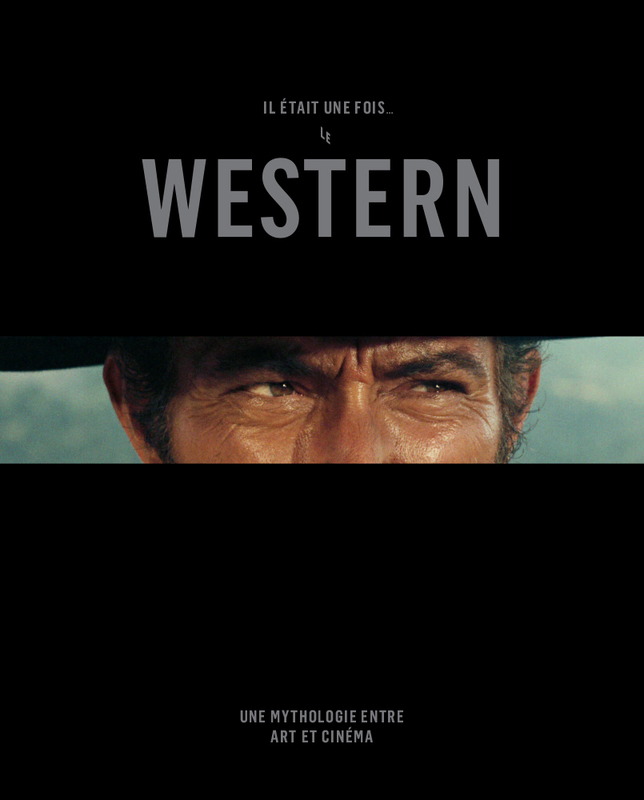 ONCE UPON A TIME … THE WESTERN celebrates the beauty of the Western while revealing some of its more sombre aspects. It deals with certain prejudices against the peoples of the First Nations that it helped to perpetuate, and explores themes related to questions that are still current today, such as violence, the stereotypical representation of the sexes, interracial relationships, and the acceptance of difference. It shows the extent to which art has the power to both maintain and challenge the most widespread beliefs. The Western genre has always been about more than cowboys and “Indians,” outlaws, bandits and barroom brawls. At its core, the Western is an epic story of nation-building—of the triumphs and failures, fantasies and even hypocrisies that process entails. Questions of race, violence and nationalism embedded in the genre are as present now as they were three centuries ago, and although it is no longer as popular as it once was, the Western remains an important lens through which we can examine pressing concerns of today. Nineteenth-century landscape painting and photography in both the United States and Canada were instrumental in encouraging eastern audiences to move west, and in the development and diffusion of western iconography in the popular imagination. Monumental landscape paintings by Albert Bierstadt, Thomas Moran and William Brymner, as well as photographs of the North American West by artists like William Notman, Carleton Watkins and Timothy O’Sullivan, set the bar for later depictions of the frontier in film. Meanwhile, pre-cinematic technologies like the stereoscope, which created three-dimensional images of western topography, further spectacularized the landscape before the advent of moving pictures. 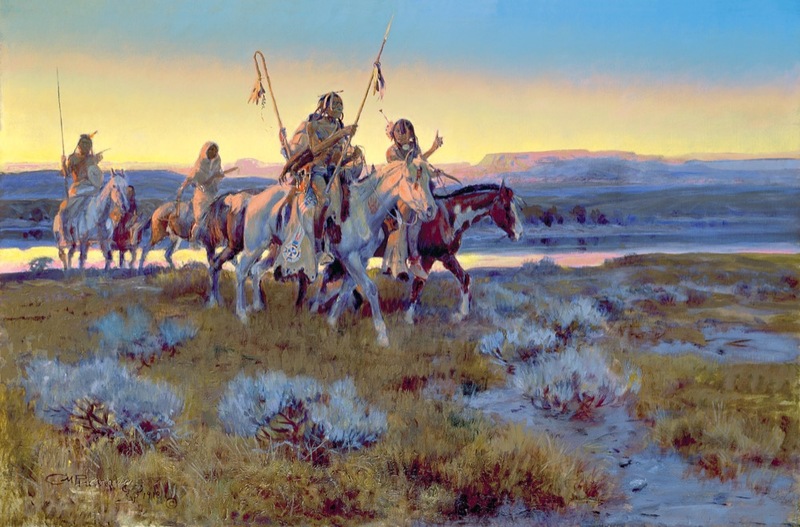 At the end of the 1880s, many writers and artists of the period were still depicting a nostalgic vision of the West or, in painter Charles Russell’s words, “The West That Has Past.” They created stock characters that moved across art forms, from printed illustrations to paintings and photographs. 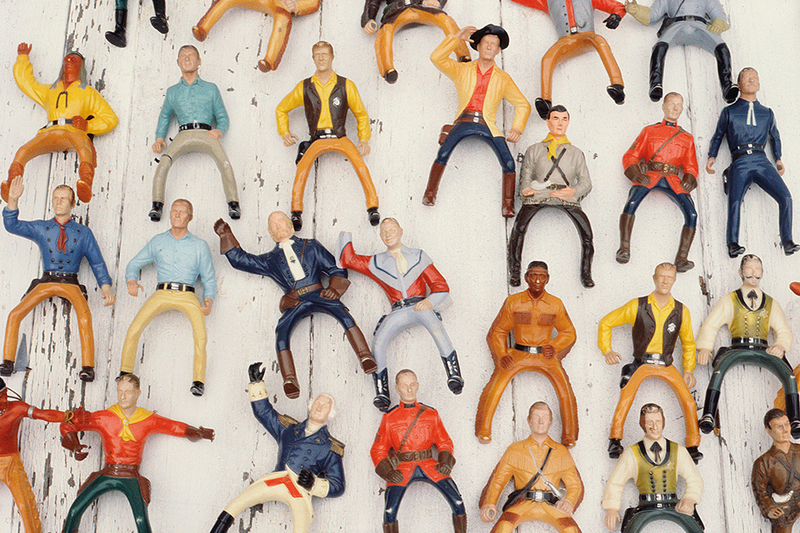 These recurring figures ̶ the cowboy, the “Indian” (a period term used to refer to First Peoples), the trapper, the cavalry trooper and the pioneer ̶ served as a kind of shorthand that oversimplified complex individuals and populations. These characters nonetheless formed the core of the visual vocabulary of the Western in film, exemplified by the clips on display here. Although nineteenth- and early twentieth-century representations of the West were often rooted as much in fiction as in fact, the drama of the West as portrayed on screen was nonetheless linked to very real historical events and characters ̶ people like Jesse James, Billy the Kid, Calamity Jane and, in Canada, Will James ̶ that would inspire later Western movies. Chief among the historical figures to have a lasting effect on the development of the Western was William F. Cody, better known as Buffalo Bill. Instrumental in the popularization of the Western, Buffalo Bill’s Wild West show toured throughout the United States, Canada and Europe, performing the drama of the West, with sharpshooters and stagecoach attacks at every stop. 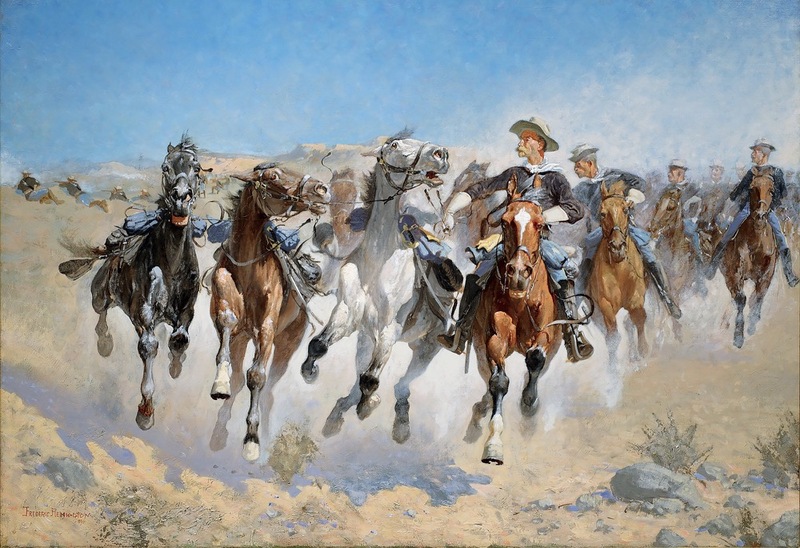 Turn-of-the-century artists’ portrayals of rip-roaring dramas—Indian attacks, cavalry charges, train robberies, kidnappings and saloon brawls—formed the core stories of classic Westerns. In reality, the West by this time had been irreversibly transformed by railroads, telephone lines, cars, industry and the growth of cities. While artists and filmmakers drew inspiration from history, they dramatized it in exaggerated portrayals that reinforced the stereotypes of the previous decades. The First Peoples drawings included in this gallery provide a powerful contrast to the fictionalized dramas of the West painted by non-Indigenous artists. Uninterested in audiences, self-taught Indigenous artists turned to drawing as a way of recording an authentic reaction to the real dramas they experienced in the late nineteenth and early twentieth centuries. These works of art are an important testament to the human lives at stake in the settlement of the West. John Ford remains one of the most important and influential American directors of his generation. His career spanned five decades and more than one hundred and forty films. He won four Academy Awards for Best Director (a record to this day)—but not one for a Western. Still, Westerns are the films he is best remembered for. During World War II, women became an important part of the workforce, and many did not stop working at the war’s end. This new prominence for women was echoed in postwar Westerns where women were cast in leading roles that defied convention. Key examples include Nicholas Ray’s Johnny Guitar (1954) and William Wellman’s Westward the Women (1951). 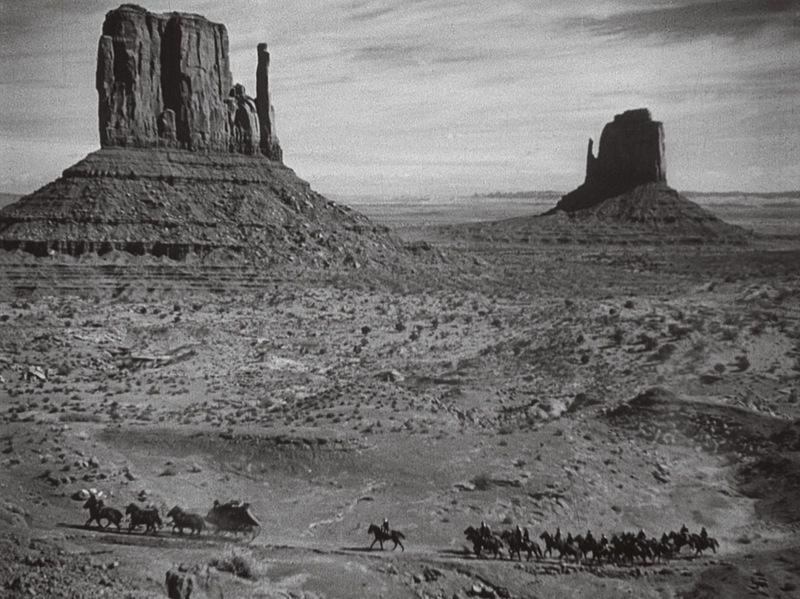 In the early 1960s, the Western was radically transformed by the films of Sergio Leone (1929-1989). Chief among a number of Italian directors of Westerns, including Sergio Corbucci and Tonino Valerii, Leone reinvented the genre in a rapid-fire succession of films commonly known as “Spaghetti Westerns”: A Fistful of Dollars (1964), For a Few Dollars More (1965), The Good, the Bad and the Ugly (1966) and Once Upon a Time in the West (1968). Leone also re-invented the Western hero in the figure of the ultra-cool Clint Eastwood, the “Man with No Name”. Considered by many film historians to be one of the greatest movies of all time, Once Upon a Time in the West masterfully restaged the central myths of the Western in a far-reaching, dramatically unconventional and spectacularly theatrical epic that was both a homage to and deconstruction of the American Western. The dramatic intensity of Once Upon a Time in the West and other Leone western was heightened by the orchestral complexity of Italian composer Ennio Morricone’s musical scores. In 1969, John Wayne won an Academy Award for his role in True Grit, proving that the traditional Western was still riding high. That same year, Easy Rider and The Wild Bunch were released, setting an alternative path for contemporary Westerns that responded to issues of societal unrest during the “counterculture” era of the late 1960s and the 1970s. The explosive violence and stark realism of many of these Westerns were a reaction to the fiercely contested Vietnam War and reflected a broader restlessness and concern about individual freedom in the face of institutional power. Filmmakers questioned conventional notions of the macho American cowboy and commented creatively on gender and racial equality in the wake of the Women’s Liberation and Civil Rights movements. At the same time, the American Indian Movement (AIM) brought injustices committed against Indigenous peoples into popular consciousness. Hateful Eight (2015) and Django Unchained (2012), contemporary artists like Cindy Sherman, Richard Prince, Mohamed Bourouissa and Spencer Finch turn standard Western tropes explored in the earliest sections of the exhibition on their head. Meanwhile, Paul McCarthy quite literally deconstructs the most iconic Western hero with his smashed replica of John Wayne’s head, SC Western, John Wayne, White (2015). 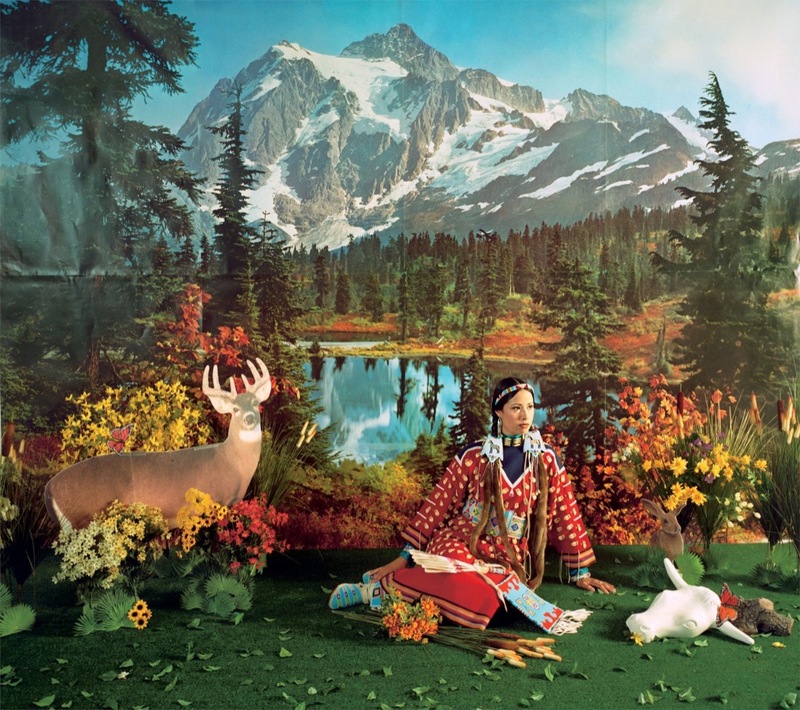 Most importantly, Indigenous artists Kent Monkman, Wendy Red Star, Brian Jungen and Adrian Stimson, among others, stake claim to the representation of their history through powerful works of art that lay bare the myths and misrepresentations of First Nations peoples in the Western. A place for play and discovery for children and families, free of charge. Intended for families, school groups and socio-community organizations, the Little Western has four parts: a grandiose natural landscape, a children’s theatre (in collaboration with the Festival international du film pour enfants de Montréal (FIFEM), a space for expression based on an illustration by indigenous artist Diane Obomsawin, and a space for cultural mediation between Western myths and indigenous realities. Like the major exhibition at the Museum, the educational intention of The Little Western remains above all the discovery and deconstruction of a myth, for a better understanding of this legendary story. The exhibition is accompanied by a 304-page, fully illustrated book published in French by MMFA’s Publishing Department and 5 Continents Éditions, and in English by the above-mentioned publishers and the Denver Art Museum. It brings together essays by historians of film, art and literature along with interviews with renowned directors like John Ford, Clint Eastwood and Quentin Tarantino, providing a cutting-edge, interdisciplinary picture of the Western genre. 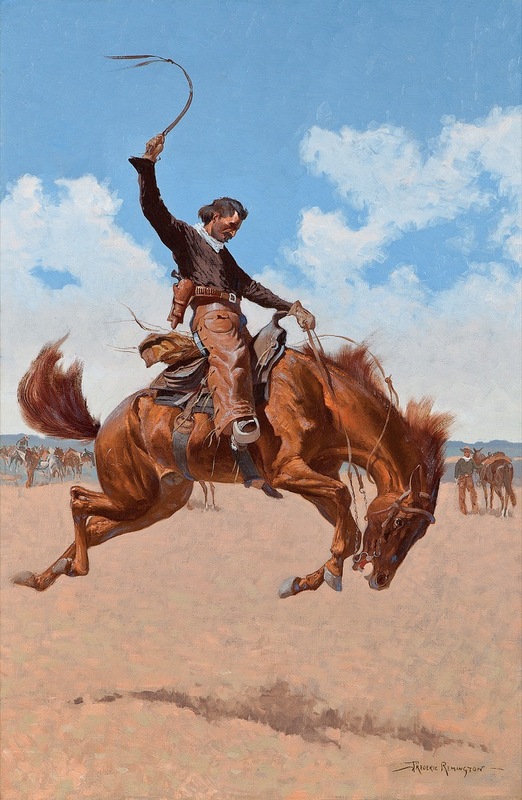 Essays cover a broad range of topics, including the West as a symbolic landscape in nineteenth-century American art and Western film, the cowboy and American masculinity, portrayals of post-World War II women, contemporary art and the Western genre. This book was edited by Mary-Dailey Desmarais and Thomas Brent Smith, with graphic design by Paprika. For the Montreal presentation, an enriched version of the exhibition was curated by Mary-Dailey Desmarais, Curator of International Modern Art, MMFA, under the direction of Nathalie Bondil. Thomas Brent Smith, Director of the Petrie Institute of Western American Art (PIWAA) at the Denver Art Museum, is the co-curator for the tour. The exhibition is supported by a scholarly committee consisting of Gerald McMaster, professor and Canada Research Chair in Indigenous Culture and Curatorial Studies, OCAD University, Toronto; Paul Chaat Smith, Associate Curator, National Museum of the American Indian, Smithsonian Institution, Washington, DC; Stéphane Aquin, Chief Curator, Hirshhorn Museum and Sculpture Garden, Washington, DC; and Andrew Patrick Nelson, Assistant professor of film history and critical studies, Montana State University. 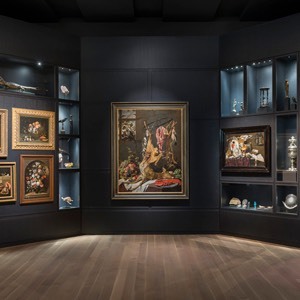 The exhibition layout was designed by Nathalie Crinière from Agence NC, Paris, under the direction of Sandra Gagné, Head of Exhibitions Production at the MMFA. 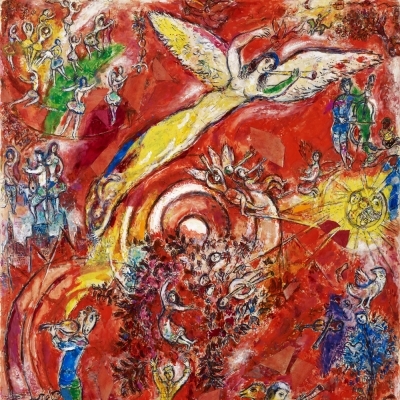 Initiated by the Montreal Museum of Fine Arts, this exhibition was organized with the Denver Art Museum and is presented here in its enriched version. This exhibition was made possible thanks to the generous support of the Terra Foundation for American Art, Major Benefactor of Once Upon a Time… The Western: A New Frontier in Art and Film. The Museum also acknowledges the precious support of Wells Fargo and of Moira and Alfredo Romano, as well as Stingray, France and Raymond Royer, Marcel Elefant and George Lengvari and CN. It acknowledges the vital support of Air Canada, the Angel Circle of the Museum and its media partners: Bell, La Presse and the Montreal Gazette. It thanks the Éléphant – mémoire du cinéma québécois project for its collaboration. 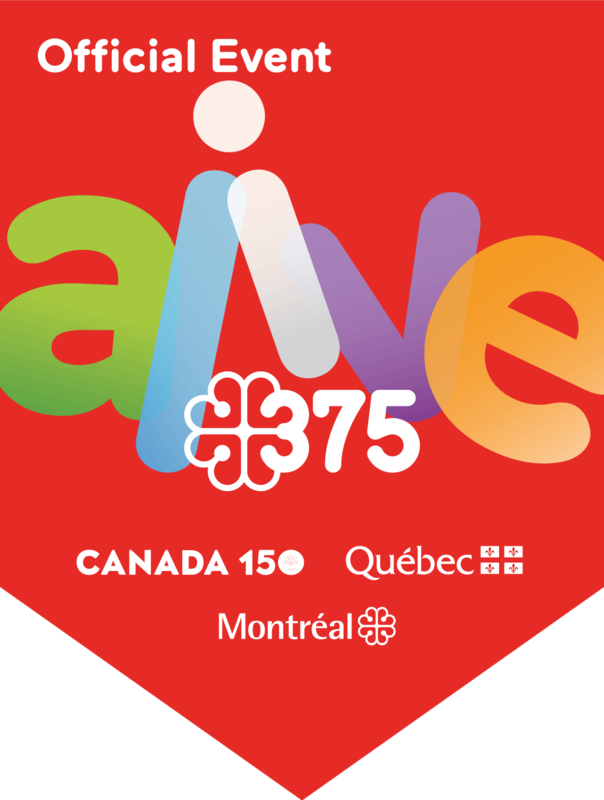 The Museum extends its thanks to Quebec’s ministère de la Culture et des Communications, the Conseil des arts de Montréal and the Canada Council for the Arts for their ongoing support. 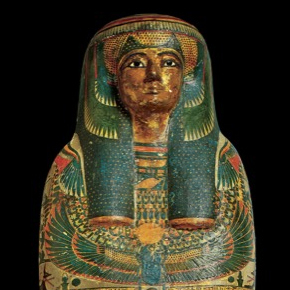 The exhibition has also benefited from the support of the Department of Canadian Heritage through the Canada Travelling Exhibitions Indemnification Program. The Museum’s International Exhibition Programme receives financial support from the Exhibition Fund of the Montreal Museum of Fine Arts Foundation and the Paul G. Desmarais Fund. The Museum would also like to thank its Volunteer Guides for their essential contribution, as well as all its members and the many individuals, corporations and foundations ̶ in particular the Fondation de la Chenelière, directed by Michel de la Chenelière, and the Arte Musica Foundation, presided over by Pierre Bourgie ̶ for their generosity. We would also like to extend our gratitude to all those who, through their generous assistance, encouragement and support made this exhibition and scholarly publication possible.